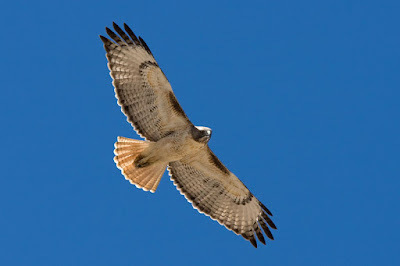 I'm occasionally asked to go beyond "big bird" when identifying creatures in flight, so I thought I'd review raptors using photos from Ned "Raptor Man" Harris. First up, Red-tailed Hawks. 19" long with 4 ft wingspan, broad wings and a short tail, frequently seen soaring over Sabino Canyon. 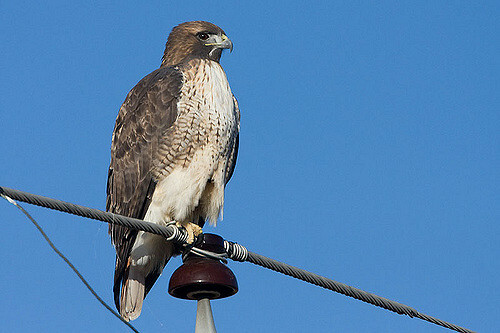 Adult has a red tail. 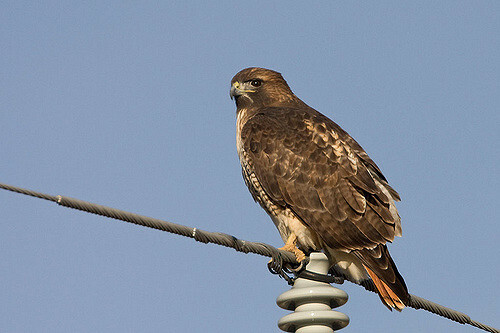 Note the reddish feathers in the photo above. As always, click photo for larger view. 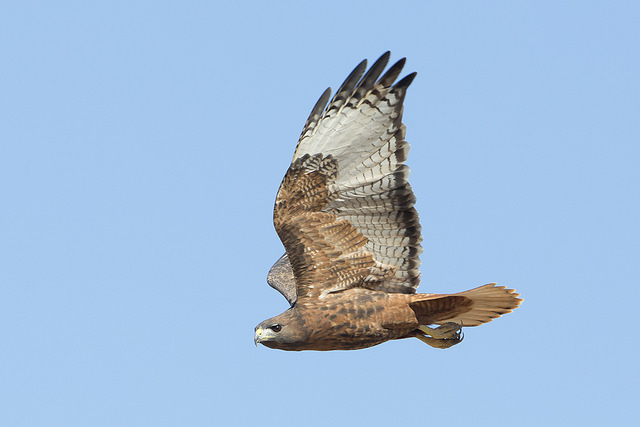 In flight, all ages show dark marks (patagial marks) on leading edge of the wing adjacent to the body. You can clearly see these patagial marks in the photo above. Also note the reddish cast to the tail. As with all living things, there are variations in the same species. This is an adult rufous-morph Red-tailed Hawk. Rufous refers to the cinnamon-brown color on the body and wings; morph simply means form or variety. 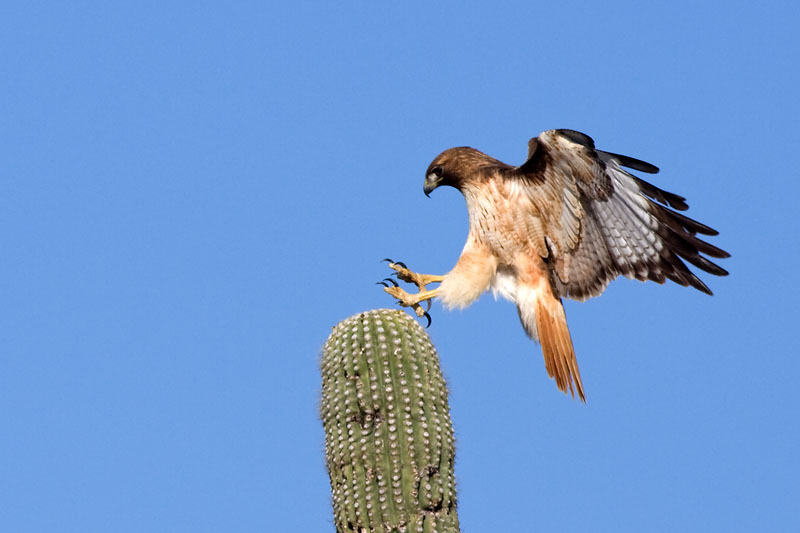 For our final number...Red-tailed Hawk landing on saguaro! Tomorrow, American Kestrals - photos from Ned Harris, of course. This is an amazing post. Thanks Ned!